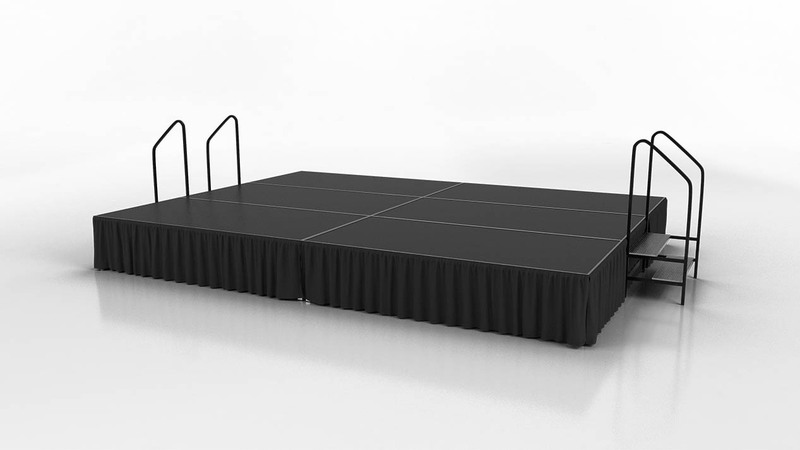 Give your stage a professional look with easy to set up adjustable backdrops. 8’ fixed height or 7’-12’ adjustable uprights with telescoping 7’-12’ drape supports. Pleated and non-pleated drapery comes in 8’ x 8’ or 4’ x 8’ sections or custom lengths. Add the final touch with a Stage Skirt. A beautifully finished 2” pleat skirt will give that professional look! 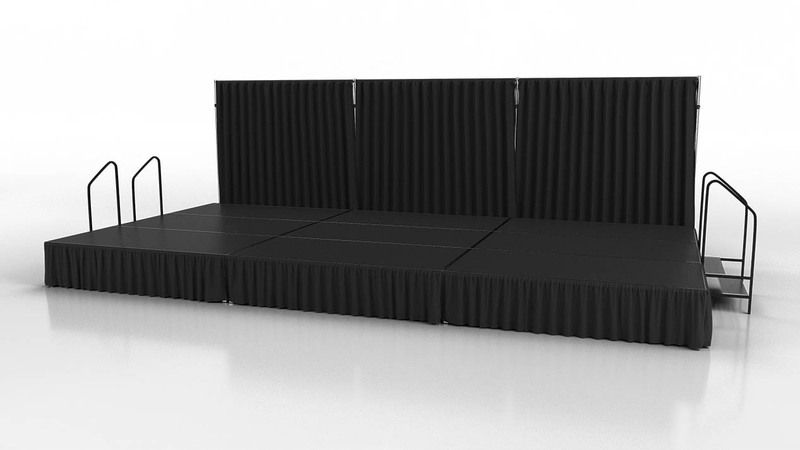 Skirting attaches easily and quickly to the stage using Velcro that is sewn into the skirting and the other side fixed to the stage from factory. Skirting is available in any height. All the fabric used is Inherently Flame Resistant, 11 oz 100% Polyester. Our standard color is black with a full color selection available upon request. 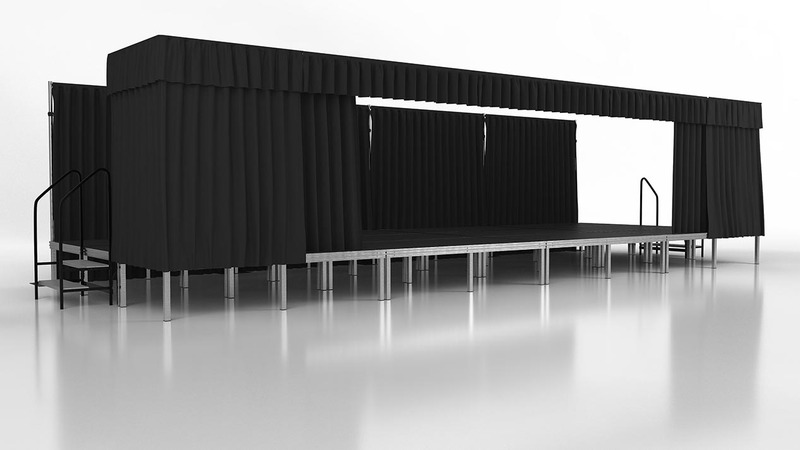 A Front Drapery system dresses up your portable stage and allows behind-the scenes activity. This system will fit a 24’, 32’ or 40’ stage front. Drapery systems come complete with top and side valance, side stationary curtains and middle pull curtains. The truss frame system is free standing and easily attaches to your stage. All the fabric used is Inherently Flame Resistant, 11 oz 100% Polyester. Our standard color is black with a full color selection available upon request.